The breakfast is rich and tasty, the staff is polite and helpfull. The Pension is located 200 hundred metters from the old city and the pedestrian mall. Revêtues de parquet, les chambres de l'Hotel Margarit disposent du chauffage, d'une salle de bains privative pourvue d'un sèche-cheveux et d'une connexion Wi-Fi gratuite. Chacune d'entre elles comprend aussi un ventilateur, une télévision à écran plat et un téléphone. 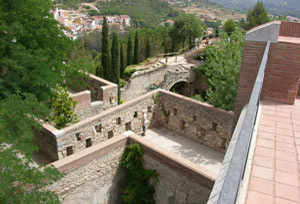 Les remparts de la vieille ville de Gérone commencent à proximité de l'hôtel, à quelques pas de la cathédrale et des bains arabes. Vous pourrez également accéder facilement aux gares routière et ferroviaire. L'Hotel Margarit possède un petit jardin et sert un petit-déjeuner buffet tous les matins. Des mets sans gluten et sans lactose sont disponibles. Des paniers petit-déjeuner peuvent par ailleurs être préparés. La réception de l'hôtel, où vous pourrez profiter d'un coffre-fort et obtenir des informations touristiques, est ouverte 24h/24. Une aire de jeux pour enfants est disponible sur place. The free parking is a bit far. The location, breakfast, and the price of course. Nothing really! It was all what we expected. The breakfast was better than expected. Nobody at reception in the morning to ask directions etc. Good budget option for 2/3 nights. Conveniently located for bus/train station and old city (10mins walk). Ask for quiet room on 4th floor (2 only) which are spacious too. Breakfast a little sparse but acceptable all the same. It was a good hotel with comfortable rooms and all we needed. Very difficult to find when arriving by car, as there were no signs. Our bed sheet had red stains on it. Makes you wonder if it had been changed as it was obvious to anyone putting the sheet on the bed. Great personnel, clean and excellent location. 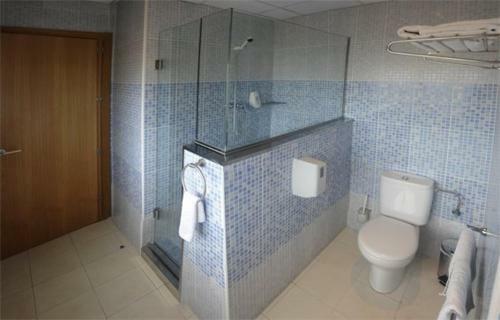 Big double room, big clean bathroom, ample continental breakfast. The staff was extremely friendly, the room was clean and warm. The location is very good, only 5 to 10 min walking from the city center. The location was nice. The staff lowered my price (not from my initiave) in the morning from 100€ to 75€, 'cos I payed way extra. It was a holiday and I had to pay extra and the info, facilities and backyard was closed. For 40€/night, very nice. For 75€+/night, not so much. There were no staff at the hotel when I arrived and I had to lock myself in. Lovely little hotel ! Very clean and comfortable ! Close to old city ,to railways and a bus terminus ! Very cheap Dia supermarket with daily needs just right close !!!! Would definitely recommend this place !!! May be a bit overpriced for 1 star hotel !!! Perfect location to walk into the city Areas and explore! Staff were really very helpful in assisting us With the city workings! Évery was very Well maintained and Made our stay delightful! Clean and central to city. Staff helpful. Nice breakfast. Not all rooms have aircon. Super great staff that sent me an an email with details before I arrived and get when I got there. Nice room and shower everything one needs. Excellent location: near train station and center of town. No air conditioning and ventilation was inadequate. 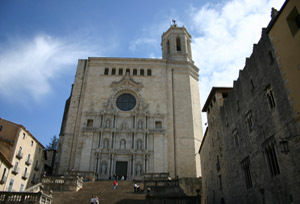 Among the things that I enjoyed during my staying in the Pansion Margarit is that the hotel is only 600 m from the central bus and train station and 5 minutes walking from the historic centre of Girona. That makes it a nice starting and intermediate station if people want to travel around Catalunya, the French coast and Andorra. Furthermore the place is very well organised for people arriving late in the night. The hotel is fully equipped with good WiFi service. The only disadvantage that I found is that even though it is written that reception/breakfast is open/served from 7.am/8.am respectively, there is no information when this reception/breakfast schedule does not occur. Unfortunately during my staying, on a Monday morning a lot of people in the hotel including me, found ourselves in the awkward position to wait for the reception and breakfast to open, but nobody appeared. Many of us had to check out without any information concerning the payments to the hotel and without the already paid breakfast. On the return trip to Girona, I contacted the hotel and I was informed that the reception desk on Mondays opens at 10.am...So for people that want to travel and stay to Pansion Margarit verify the time schedule of the front desk office. As it seems it is important. Very cheap and centrally located,everything within walking distance.Domestic came in daily to tidy and make beds. You get what you pay for. Noise of traffic throughout the night and also lots of partying students walking home. Could not have the windows open at night due to the noise.The beds are small and not comfortable.Bathroom was ok but shower not fantastic. The reservation email stated that check in was from 2 - 8 pm. We were afraid we might be late and tried calling at 6 pm and got a message to call the emergency number given on our reservation (which was the number I was calling.). We arrived at 10 minutes to 8 and the door was locked. Luckily, another guest was in the lobby and opened the door for us. An envelope was taped onto the counter containing our room information and key. We considered this very low quality performance. What do you think? 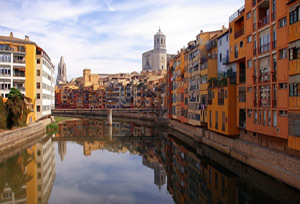 We recently visited Girona and would highly recommend this hotel. Marta who was on reception, was an absolute pleasure and really helpful. I was surprised at the high standard of this hotel given the price we paid, really clean, nice and comfortable. Next time we're in Girona there would be no doubt that we would return to this hotel. Very interesting city. Hostel very recommended. Close to bus and train stations and to the city centre. Situated perfectly on the banks of the river 5 Minutes walk from the beautiful old town and directly opposite the superb market. All is well, except for the chambermaid. Сhambermaid has the feature to break even without knocking at a locked door, despite the do not disturb sign posted. Shocking! 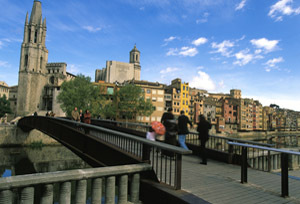 well- placed for visiting "old/new Girona. Quiet, comfortable and clean. Helpful staff. Location - near bus and train stations and centre of the city. Location is very good in the city center.staff very helpfull.breakfast as for Spain - acceptible(bread butter ham cheese jam natural jogurt and musli) no vegetables but fruits and sweet cakes were ok. Nothing hot and only single cup of tea /coffee. Nice price. And even 10 min walking to free car parking. If not in Spain-poor selection of food but you have to be prepared it is not 4star hotel with variety of buffet. The second thing is door and noise from coridor.poor attenuation of noise from slaming doors but this is also people`s fault. Nothing else to complain. We arrived after the staff had left for the night but we were pleased with their system for dealing with that eventuality. The room was very comfortable and extremely clean. We only stayed as a stop over on our way elsewhere so we didn't have time to get a real feel for the place but it seemed really nice. Good location. Close to seesights. Good brekfast. Very noisy fan quiet fan required! value for money, newly renovated room - air conditioned instead of fan, helpful staff, excellent breakfast, central location-convenient for old centre and for trains and buses. Very accommodating & helpful staff. Really nice & pleasant girl who assisted our late check in etc. It's just an incredibly bland hotel - think dry toast or cardboard cut out! It's clean, does the trick to shelter for a night but will be a forgotten moment amidst a Spanish trip. Worth starting as very accommodating but would hurt to give the place s bit of Spanish flair! Beige is Beige! Walking distance from trains and buses. Fantastic old city easy walk from hotel. Buses run regularly for day trips to costa brava beaches. Beds not very good quality. Was a bit hot in the room with no A/C. Half way between train/bus station and old town. Clean, comfy, decent shower. No Air Con - it was 38 degrees outside. Clean, comfy bed, good facilities, pretty central. Cost quite a lot, but that's probably our fault for booking really late. The overall vibe of the room/hotel was quite nice. No air conditioning. We are easy travellers but DON'T stay in this hotel from may-September!! also the location was a bit further from the centre of the old town. Staff were not so friendly. Also the bed was really hard and you could feel each individual spring poking you. Very friendly and welcoming, and close to stations and city centre. It was 32 degrees when we stayed and unfortunately our room didn't have air conditioning, only a fan. So it was very warm overnight. Excellent value for money. Close to the old town and well situated for a wander. Parking was convenient. 10 min walk from Train/Bus station; but near to the town's local attractions. Nothing much to complain; expect only basic necessities. Quiet room with private balcony, overlooking a courtyard garden. The hotel is just over the river from the historic old city. Room was small, which was ok, but stuffy.. We had to keep the door to the balcony open for light and fresh air. Location is great and good for the budget. Breakfast good value. Location is good - close to the downtown, 10 minute walk from bus station. The room was clean and comfortable. Staff is friendly. Next door to a little grocery store. It was cheap, and very central. Quiet location, walking distance from public transport and all places of interest in old town. Breakfast selection is very good but they underestimate how much to provide so if you don't get there early enough you will be disappointed. 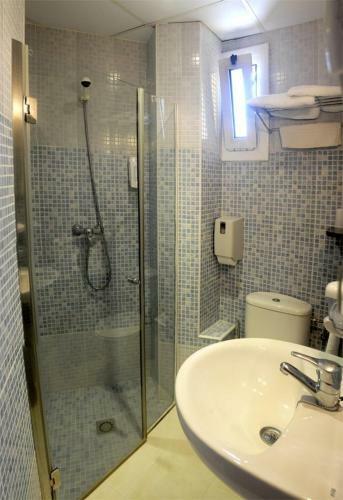 Very good location (10 min walk from Girona train station) Shower is very clean and big! Great deal for a not big price. Even thogh it is 2*, it was better than some 3 and 4 star hotels, which I experienced. This hotel is really close to the centre. Personnel is kind, friednly and helpful! Good location - 5 min walk from the bus station and the old city. Nice and very clean room with spacious bathroom. There are machines for coffee and soft drinks - very good for us, as we had to leave early in the morning. Nice staff. The hotel os well located. It is a cheap hotel, rather old but well maintained. Good value for the price. Poor isolation, can be noisy with neighbours. Nice place, nice staff, suitable breakfast. Disguisting smell from bathroom ventilation system. Nothing was possible to do with that. Staff not on site after 6pm; we were sent instructions on how to get in and find room in case we were late (we weren't) but not sure how the parking arrangements would have worked. No-one on reception when we left - had to leave parking fee with maid who was serving breakfast. Convenient position; secure parking nearby. The stuff is really nice and the location is good. A few steps from the old town and about 500 meters from bus station. The room was quite small and the wardrobe was a bit too big. 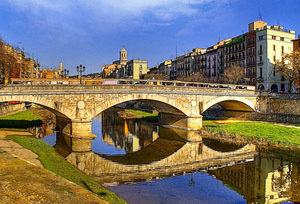 Excellent location, close to the train station and the old city, hotel is easy to find. Clean room, nice view from window, good newly repaired bathroom facilities. Friendly and helpful personnel. A little bit noisy, we could hear neighbors because the walls are thin. It was very quite! The room is spacious, warm and clean, the bathroom is perfectly furnished as well. We enjoyed breakfasts there as well. This is a family run business and the staff were very friendly and helpful. The hotel is within a few minutes walk of the train and bus station and is ideally situated for early morning flights, or forays into other areas, including France. 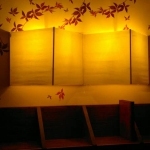 It is withing walking distance of the old city, (5 mins) and an array of modestly priced restaurants. All of these are easily found by following the river. It is also very close to markets and coffee shops. I would definitely stay there again. A facility, such as a bar, would be nice, but not essential. near station and old town so convenient. room very dark even with both lights on. Hairdryer broken. Blank wall outside window that didn't open. Breakfast room decidedly dreary. Very good quality for such price. Nice and comfy rooms, staff is helpful and friendly, good breakfast.Hotel is close to a historic part of town, as well as to a train and bus stations. Receptionists work till only 8 pm. Our train was late, so we had to wait outside for some time till one of the visitors let us in.